During the first of perhaps many meetings, a group of undocumented students and members of Freedom at Emory University, an advocacy group for undocumented students, urged University President James W. Wagner to address the financial needs of undocumented student applicants during his office hours on Wednesday. Before an audience of Wagner and Provost and Executive Vice President of Academic Affairs Claire Sterk, the students pressed the University to work toward four short term goals: to allow a legalized subset of undocumented students who were brought to the U.S. at a young age to receive need-based financial aid; to ensure that undocumented high school seniors have equal financial aid and admission opportunities; to elucidate the admissions and financial aid process for such students and to reach out to such students so that their lack of citizenship does not bar them from attending Emory University, according to Freedom at Emory Co-Founder and College senior Andy Kim. The meeting, however, lasted for about half an hour, and “didn’t really get into details,” Kim said, who headed to the president’s office in the Administration Building along with College senior Hannah Finnie, another member of Freedom at Emory, and two undocumented students. Kim added that his group was coordinating with Wagner to arrange another meeting within the next couple of weeks. Still, the group of students and two University officials discussed the formation of “a working group” to address the financial needs of undocumented students, according to Wagner. In an interview with the Wheel a few hours after the meeting, Wagner said, despite the University’s 2014 endowment of nearly $6.7 billion — a 14.9 percent increase from last year’s endowment — most donations are restricted. These donations would be channeled specifically toward, for example, professor positions named after the donor. “It’s not really the case that a large fraction of that is at our discretion,” Wagner said. He added that Campaign Emory, a large fundraising effort that wrapped up in 2013, pursued less-restricted donations that would increase financial aid opportunities. “There is work to do, but there is a lot of common ground” between the administration and the group of students, Wagner said. Valentina Garcia, an 18-year-old high school senior and undocumented student who was present at the meeting, wrote in an email to the Wheel that Wagner and Sterk listened to Freedom at Emory’s proposal with open ears. Garcia, along with one other undocumented student at the meeting, Sergio Delgadillo, are both students at the Georgia-based Freedom University, a school offering college-level courses, leadership skill-building and scholarship help for undocumented students in high school or those unable to attend colleges due to citizenship status or financial reasons. Kim, in a later interview with the Wheel, pointed out that the issue of colleges barring undocumented students either from admission or from enrollment through lack of financial assistance is nothing new. In 2011, the Georgia Board of Regents of the University System of Georgia implemented Policy 4.1.6, which states that “a person who is not lawfully present in the United States” is ineligible for admission at colleges within the Georgia System, which include the state’s top five public schools. Policy 4.3.4, also implemented in 2011, does not allow undocumented students to apply for in-state tuition. As a private institution, Emory is not subject to these policies. Wagner noted that there is an unspecified number of undocumented students attending, though most are undeclared. Many, however, come from low-income families and cannot pay tuition. 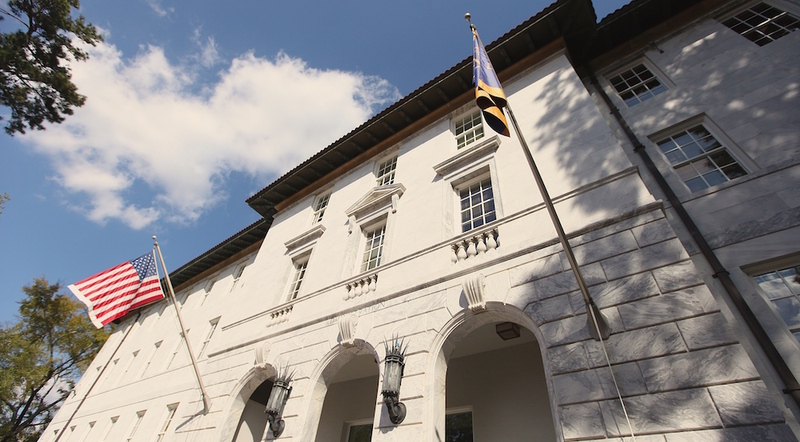 Most of Emory’s need-based aid comes from federal scholarships and grants, such as Pell Grants, which students without U.S. citizenship do not qualify for. Though the group presented short-term fixes for the financial aid problem, according to Kim, they didn’t get the chance to confront a more pressing issue.